Guard is a paranormal group who the money from the sales will help purchase new equipment for their investigations. The account is under Guppys Inc. through PayPal. The money will be moved into a GUARD account and your items will be shipped. If you are having problems ordering email use at our website email address and we will contact, you. Guard will only ship to address and within the lower 48 states. Guard will not ship over sea or outside of the US unless contacted first. If you wish to order something from GUARD and you live outside of the US. We will not ship any night vision items outside of the US. WARRANTYS: some items may come with an in the box warranty, it?s up to the buyer to fill out this warranty and mail it to the needed authorized service center who covers the warranty. Such warranties are not covered by Guppys Inc. and the buyer must seek help from the authorized service center who the warranty is under! Items made by Guppys Inc. has a limited 90 days? warranty. Once your order is shipped and if there is a problem of something being broken, you must contact the shipper. Guppys Inc. will not cover shipping breakage. Most items will be shipped US mail and others are shipped. We do not ship outside of the continental US nor to Alaska or the Hawaiian Islands. The cost of shipping is too high for us to ship to such locations. Review all state laws prior to use of night vision products, Federal Regulations on Night Vison Product. See what your state will OK before ordering. GUARD and Guppys Inc. and affiliated will not be held responsible for the unlawful use of any product(s) (night vision). Some items might be out of stock or no longer available GUARD PARANORMAL is not responsible for items out of stock or unavailable. We will try to keep the website items up to date. NEW Professional FM Transceiver Radio. The new Baofeng radio this is a Professional FM Transceiver. If you wish we can program 19 Walkie-talkie channels that FCC licensing is not needed. Once you order the item and the payment is made we will contact our suppliers (the maker) in China. If you wish to have the channels program, the radio will be shipped to use first then reshipped to you. We only use PayPal. UV-5R series two-way radio are the newest styles by BAO FENG, it has multi-functions, such as dual band, dual display, dual watch, its performances are excellent, the shape is fashionable, It has a good sales record in the communication market. It has been awarded the good reputation from our customers. It is really a cost-effective LCD dual band two-way radio, if you like it, why are you hesitating? This item is used on stages as a Disco lighting, but we have been using it on cases, and found out that it is great for covering large rooms. 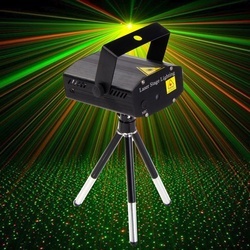 ?Suitable for disco, ballroom, KTV, bar, stage, club, party etc. ?No UV rays, environment friendly Long working life, excellent stability. Small and exquisite appearance. ?Animated moving red and green star, fully adjustable motion speed. ?This item can be used to respond with sound to make it moved also. Once you order the item and the payment is made we will contact our suppliers (the maker) in China. 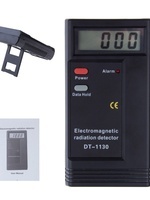 With this detector, it widely provides user a quick, reliable and easy way to measure electromagnetic field radiation levels around power lines, home appliances and industrial devices. Suitable mostly for measuring effects of radiation products, presentations, and personal understanding of radiation.